Over the past eighteen months, APEEL has drafted eight Technical Papers. Recommendations for reform of environmental laws are contained in these papers. A series of core themes and supporting reforms have emerged from this work. APEEL’s proposals are for environmental laws that are as transparent, efficient, effective and participatory as possible. THE collated list of recommendations for reform of environmental laws contained in the individual papers. A new generation of environmental laws is needed to address the urgent and complex environmental challenges that Australia presently faces. APEEL believes that environmental law has evolved to the point where it is possible to build these new laws on a solid legal foundation that is largely lacking in the present system. APEEL suggests that the core components of this foundation are goals, objectives, principles and norms. These basic components must be clearly reflected in the design of the next generation of environmental legislation. This Paper is a condensed version of a fuller and more technical treatment of this subject that is presented in a separate APEEL Environmental Governance Background Paper (Background Paper). They conclude that Australia has an environmental federalism system which is of a highly de-centralised nature in which the Commonwealth performs a relatively limited role. APEEL believe that this system, whilst it has achieved a number of beneficial outcomes, has been far from fully effective in practice. APEEL therefore urges a fundamental change to the current environmental federalism system to empower the Commonwealth to perform a strong national leadership role of a strategic nature in relation to environmental matters under the next generation of Commonwealth environmental laws. This Paper proposes that a multi-pronged approach to biodiversity conservation and natural resource management (NRM) law reform is needed. Real reform will be costly, and some initiatives will encounter opposition, but more effective environmental law is essential to the long-term viability of ecological systems, agricultural production, and community amenity and wellbeing. Meeting the challenges requires the commitment of the Commonwealth and state governments to implement an effective mix of land use and other environmental forms of regulation, economic incentives, and voluntary instruments. The Marine and Coastal Issues Paper establishes that Australia’s coastal and marine environments are vital to its economic, recreational, and cultural wellbeing, yet many indicators of marine ecosystem health are declining. Protecting coastal and marine biodiversity and resources against the stressors of coastal development, fishing, oil and gas development, pollution, invasive species and climate change is critically important. Despite a range of policy commitments to integrated planning and management of marine resources and the coastal zone, current governance approaches are fragmented across various levels of government and sectoral regimes, including those for conservation, fishing, pollution control, biosecurity, and oil and gas and seabed mining. The Climate Law Paper considers the limitations of existing climate laws in Australia - taking account of recent international developments such as the 2015 Paris Agreement - and canvasses options for reform. The paper maps existing legal and regulatory arrangements that address the climate change challenge, focussing on the issue of mitigation – the reduction of greenhouse gas emissions. Climate change law also encompasses questions of adaptation – the management of climate impacts and of human and ecosystem vulnerabilities to climate change, an issue more closely linked to land use policies, planning and biodiversity laws. (b) recommend policies that encourage and facilitate Australia’s transition to a low-carbon economy. No single policy instrument can deliver a sustainable energy future, but that a range of measures can all make important contributions, including carbon pricing, mandatory renewable energy targets, energy efficiency measures, and capital subsidies for constructing or installing renewable energy technologies and storage capabilities. 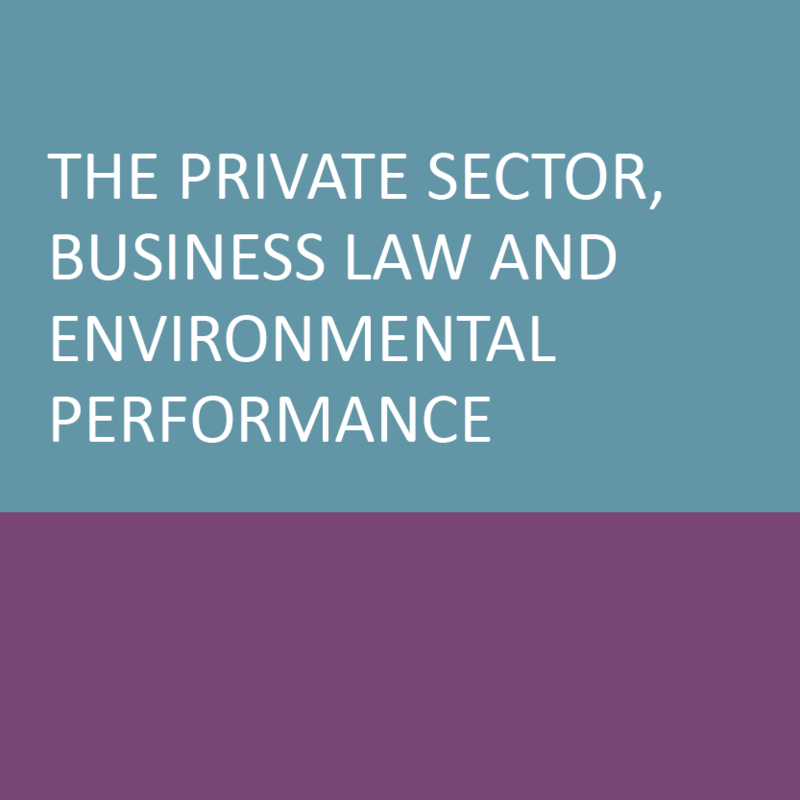 This Paper considers the role of the private sector (namely business and industry) in environmental protection and management, and the effect of business law on the private sector’s environmental performance. Because the philosophy of ecologically sustainable development is not well integrated into Australia’s economic governance, the business sector encounters ambiguous messages about how environmental considerations should inform its decisions such as financial investing or tax planning. It identifies key challenges and assesses how environmental principles and standards can be integrated into Commonwealth laws relating to corporations, financial investment, tax, consumer protection and trade. 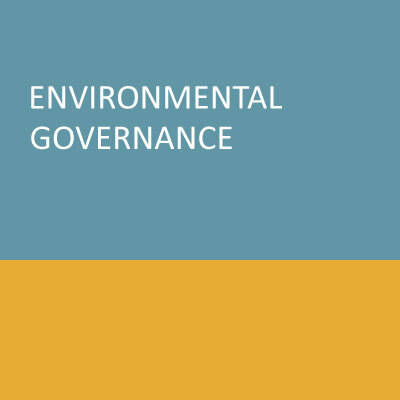 This Paper proposes a set of legal and policy approaches that Australia should adopt over the next decade to improve governance of the environmental commons and increase environmental democracy in Australia. Democratic engagement in environmental governance is essential to achieving a healthy flourishing environment which can support both nature, and the health and wellbeing of society. In order to reap the benefits the environment provides such as health, culture, prosperity, justice and indeed life, humankind should see itself as trustees of these essential common resources, requiring both engagement and care.